In elite sport, one lapse in concentration or one “off-day” may be the difference between success and failure. What is the difference between winning and losing on the world stage? Most often the reply is `mental toughness’, `determination and perseverance’ etc.Sports psychologists can work with both coaches and athletes to develop their ability to excel in high performance environments. 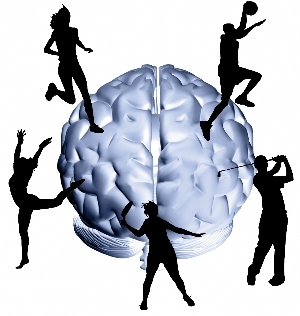 Sports psychologists help develop the psychological, technical and tactical competencies required to be competitive. This includes skills not only for the day of competition but for the day-to-day demands of a high performance lifestyle: To help normal individuals cope with abnormal environments. Dr. Lynn Slogrove is ECAS’ contracted sport psychologist and brings a wealth of experience in assisting professional athletes including the 2004 South African Paralympics team. The sport psychology program focuses not only on improving performance during competitive settings but also draws attention to other significant factors, such as family and social life, which influence athletic performance.